Come Fly With Us: Hello, Texas! 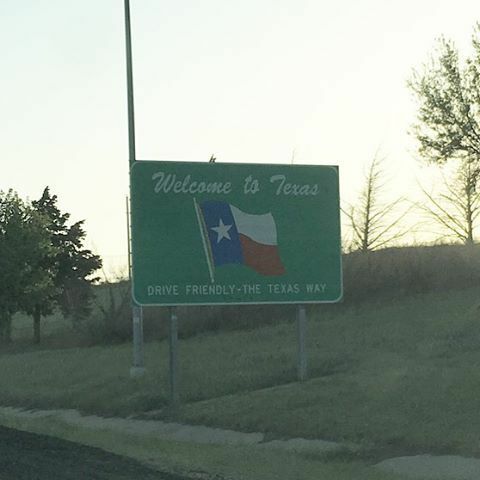 Well, we made it to Texas! We are moved in to our new home, and we love it! We've been taking our time unpacking boxes, figuring out where we want things to go (isn't that always the worst when you have a new layout in your home and certain things just don't seem to fit anywhere?! ), and getting settled in. We've checked out some local stores and the base, and it seems like we're really going to enjoy our time here. Lieutenant Lovemuffin doesn't start pilot training until June, so we have a couple months to relax before the full-blow CRAZY begins... and I'm okay with that. Do you enjoy moving in to a new home?